While I wait for GTAV to arrive (I’ll be picking it up tomorrow morning), I thought I’d do a bit of a retrospective on Red Dead Redemption, a game that I think is one of the best of this console generation and I’m currently replaying. If my ageing memory serves me correctly, there’s a moment in Rockstar’s Red Dead Redemption that, for me, empahsises why it’s one of finest video games of this generation. It’s the moment when the game’s hero (or is he an anti-hero?) 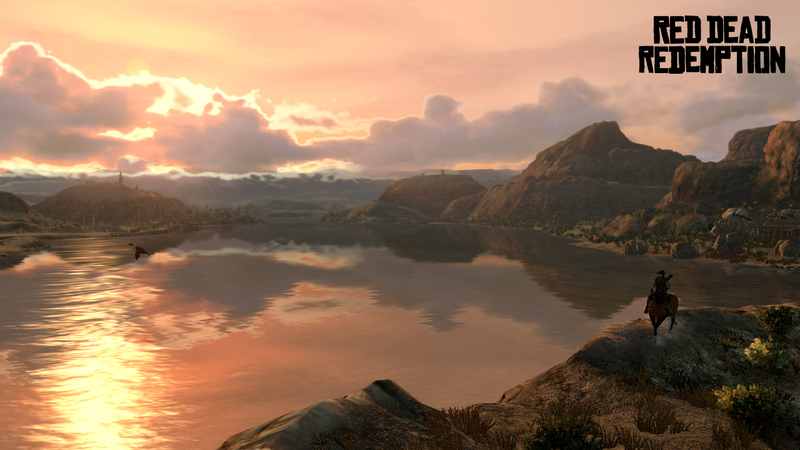 John Marston crests a hill, crossing from the United States to Mexico. As Marston starts ascending the hill towards Mexico, Jose Gonzalez’s haunting song Far Away starts playing and continues as Marston trots through Mexico, the bright orange sun setting in the distance. It’s a powerful, poignant moment that illustrates just how great this game is. It’s moments like this that make Red Dead Redemption a tour de force of story telling and characterisation. It’s a game that deserves a second play through. And perhaps a third and a fourth. I finished RDR a while ago – a long while ago, actually – but while I wait for GTAV to land this week (I pre-ordered it over the weekend) I decided to pull on the boots of grizzled cowboy John Marston again and see if the game was as great as I remember. It is. 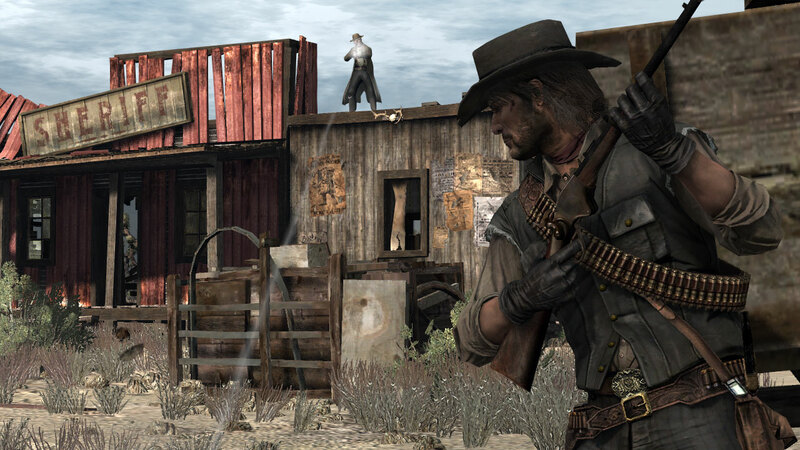 RDR came out in 2010, a couple of years after GTAIV, and is the sequel to Red Dead Revolver. It tells the tale of John Marston, a former outlaw who is forced to turn bounty hunter after his wife and son are kidnapped by the US government and he has to bring his former outlaw colleagues to justice. It spans two fictitious United States counties – New Austin and West Elizabeth – and a fictitious Mexican state – Nuevo Paraiso, and it seems that to secure his family’s future, Marston must return to the life he desperately tried to escape. The game opens with Marston in the company of two US Marshalls: It’s 1911 and the decline of the American frontier. After walking through the streets of Blackwater, he boards a train bound for the region of New Austin, where he will start his quest to track down his adversaries. As he sits on the train travelling to Armadillo, Marston listens to the conversations of other passengers. It’s the dawn of a new age, it seems. In terms of visuals, RDR and GTAIV are a world apart, with the former a breathtakingly beautiful game. At times the sunsets resemble water-colour paintings, with burnt orange and yellow smeared across the sky. The attention to detail is amazing as well, and if RDR shows the advances Rockstar made since GTAIV, then it just blows my mind as to think just how much more advanced the visuals are between RDR and GTAV. Remember, we’re at the end of a console generation but it seems, as happened with the previous one, developers are eking every last drop of processing power to produce graphically stunning games. RDR isn’t just an improvement visually on GTAIV, though, its game play is much better, especially in terms of how the combat is handled (although I still struggled at times when I had to drive a horse and buggy, maintain speed and shoot at the same time). 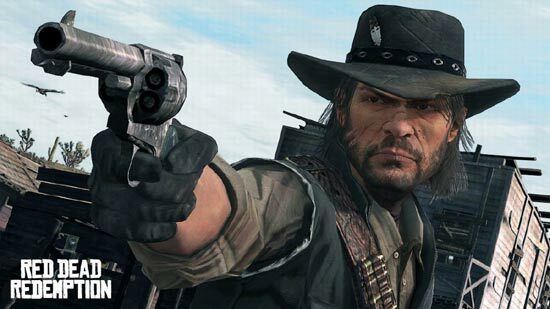 Marston has a Dead Eye system which means when activated he can slow down time and paint individual targets, taking out several bad guys in a single sequence. The cover system, too, is much improved, with Marston often sliding into the protection he is heading towards if he’s hot footing it. RDR just feels so much easier to play than GTAIV, too, despite featuring a similar mission structure. I revisited GTAIV a week or so ago: It just feels outdated and boring compared to RDR. In terms of open-world games, RDR is insanely large, with tracts of tracts of land stretching out as far as the eye can see, but perhaps one of the best things I like about RDR is that the world feels alive: bars are populated with boozed patrons and working girls, dogs wander around dusty towns sniffing for scraps of food, poker games take place behind closed doors, horses roam the prairies, but perhaps the most impressive element is the random events Marston comes across. These events can happen anywhere, anytime and can range from public hangings to having to chase down escaped prisoners for an ageing lawman, to Marston having to save abducted women from strange men and attacks by wild animals. Example? At one point, as I guided Marston to a deer he had just shot, two wild coyotes suddenly attacked his horse just as I guided him over to where the animal’s body lay. In an instant, Marston was stranded in the middle of nowhere, his horse run off, with two coyotes to take care of. These events make the world feel alive. I also stuck with that horse through most of the game. He was faithful and loyal. The game has a morality system that affects how NPCs react to Marston: if he stops some drunken guy harassing a woman, he receives a bit more honour and some fame, which means he gets more respect from people, but if Marston shoots an old man to get the deed for a parcel of land wanted by a greedy prospector (as he does in a mission early in the game) his honour ranking will take a hit. The higher the fame ranking the more respect people will show towards Marston. Flashy visuals aside, I think it’s the writing and dialogue in RDR that resonates with me, and surely it’s no coincidence that Marston has a sort of Clint Eastwood feel about him. Writers Dan Houser and Michael Unsworth do a fantastic job in creating a believable character in Marston, even if the dialogue sometimes devolves into the clichéd and clunky. Marston’s interactions with key characters is crucial to the success of RDR, and I wish I’d written down the conversation Marston has with ranch owner Bonnie Macfarlane as they ride to Armadillo because it was just so engaging. Sure, RDR is visually amazing but it’s the story telling that lifts it a notch – or ten – above other open-world games. GTAV may well come and eclipse Red Dead Redemption in terms of grandeur and storytelling but it’ll have to try damn hard to do it. But even if it GTAV does prove to be the best Rockstar game ever, Red Dead Redemption will always hold a place in my heart as one of the best gaming experiences I’ve ever encountered. And the ride into Mexico just re-enforces how great the game is. Someone asked me the other day what I meant when I said in my review of L.A. Noire that it was a flawed game. So what do I mean by that? I mean that it’s a good game hampered by a few niggling issues that stop it from being a masterpiece. Settle in and I’ll tell you what I mean. I like L.A. Noire and I enjoyed playing it, for the most part. It’s a groundbreaking game from Rockstar that will be remembered for a long time. I loved its production values, gorgeous recreation of Los Angeles, and soundtrack but it’s not perfect. L.A. Noire is strongly narrative driven – set in Los Angeles 1947 – the story is the focus here first and foremost and the way that it plays out in an almost episodic manner is well done. The facial scanning is uncannily realistic and really draws the player into the game – never before in a game have I had to stare so intently into the eyes of a suspect to determine what they were thinking. But the further I got into L.A. Noire the more I realised how linear it is – I guess it has to be for the sake of the story. Each case, be it arson, homicide or traffic, follows the same pattern: go to the scene, examine the scene, talk to witnesses and suspects, then interrogate a suspect and hope for a confession. The game is very different from previous Rockstar games like GTA4 and Red Dead Redemption in that it’s set in a sprawling environment but it’s not an open-world game. There are no side branching story lines to investigate or multiple characters with their own tales to tell: it’s just Cole Phelps making his way up the ranks of the L.A.P.D. solving cases and putting the bad guys in jail. The game follows a prescribed direction and doesn’t deviate from a prescribed path. Ok, there side missions like answering police call outs and searching for film reels, hidden cars and landmarks, but try to do thinks in a different order than the game wants, and interesting things happen. I don’t want to spoil the game for those of you still working your way through it, so you might want to skip the next par or three as I sort of talk about a case, but near the end of one case Phelps has to hunt down a killer by deciphering excerpts from the poet Shelley left around Los Angles landmarks. Phelps and his partner have to go from one landmark to the next, each new location garnered from the previous clue, until he has them all and confronts the killer. To keep the story flowing you should visit each location in a specific order, but I misread one excerpt and went to what I thought was the right location (note: this was the first time I had been to this location but I didn’t get an indication that I had discovered a new area). I wandered around, no cutscene kicked in, no controller vibration to indicate a clue was around, so thinking I had gone to the wrong place I jumped back in my car, asked my partner’s advice and drove to another location, which was the right one. Phelps read the excerpt and was directed to another location – the one I had just come from. Arriving to the location I got an on-screen pop-up telling me I had discovered a new location – despite the fact that I’d been there 10 minutes before – and the controller started vibrating telling me that there were clues to discover. I was confused: I had visited the location earlier and nothing happened. 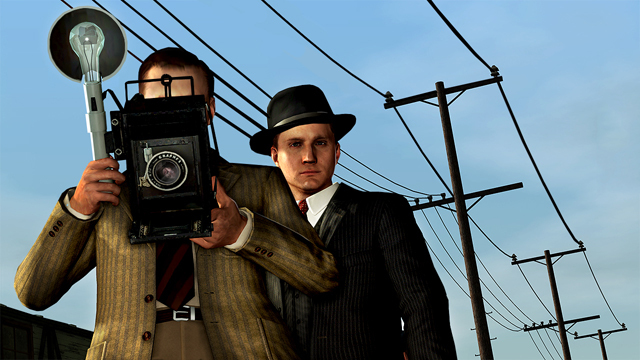 It hit home just how linear L.A. Noire is and there is no leeway to deviate from what the game makers want. I could also mentioned that while L.A is beautifully crafted there’s nothing to do in it – but if there was it would obviously break the storytelling – and I couldn’t understand why in some chases Phelps could pull out his gun but in others he couldn’t. As a cop wouldn’t he be able to pull his gun out at any time? Look, I still enjoyed playing L.A. Noire, and again I recommend it to people to play, but I can’t see myself searching for every hidden car or film real and it was instances like what I’ve mentioned above that made me realise that L.A. Noire is a good game but not a masterpiece. Oh, my daughter also wants to know why when Phelps examines a crime scene he isn’t wearing gloves or any sort or use a pencil or anything to pick up evidence? He’s contaminating the crime scene, she reckons. I couldn’t answer that.